There are many good reasons to choose a career as a dental nurse. Not only is this profession an interesting way to earn a living, but it is also a rewarding way to help individuals and families learn how to stay healthy and happy. Thanks to Dr Amit Pabari – an Invisalign practitioner in Stourbridge, for his input to this post. The duties of dental nurses can vary. It oftentimes depends on the particular needs of the dentist, dental office or hospital. Keeping that in mind, two important responsibilities dental nurses often provide are offering patients teeth cleaning services and providng them with preventive care strategies. In addition, since some people find a trip to the dentist’s office a bit stressful, patient management skills are critical. If that is the case, dental nurses can help make sure patients feel calm, comfortable and secure. Other duties might include taking x-rays, applying sealants, and administering anesthesia. If a patient needs stitches or sutures removed, a dental nurse will possess the skills to do that as well. Dental nurses support dentists in all phases of dentistry practices, which could mean anything from cleaning and readying instruments to mixing filling materials. Sometimes dental nurses even help run the office by making appointments, filling out paperwork and accepting payments. Academic training is usually not required to work as a trainee dental nurse. However, if you want to become a certified dental nurse and advance in this career, you will need to take formal, accredited classes and graduate from an approved dental nursing program. These programs are operated by various dental hospitals, colleges other training groups. You must also be registered with the General Dental Council, an organization which regulates dentists and dental care professionals. 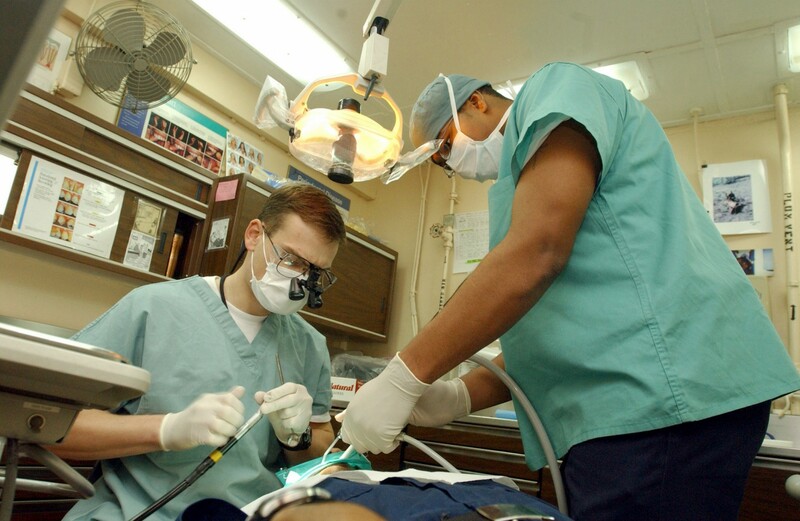 Dental nurses can find employment opportunities in places such as general practices, hospitals, community programs and the armed forces. After gaining additional experience, training and education, many dental nurses go on to find satisfying careers as orthodontic therapists, dental therapists or dental health practitioners. Many dental nurses find that joining professional organizations, such as the British Association of Dental Nurses, can help them explore and advance their careers since they can provide advanced educational services, conferences, career centers, and networking opportunities. Nurses in general dentistry probably ask themselves how they take their first steps into implant nursing Do they need a number of years experience behind them before embarking on a career as a Dental Implant nurse? Do they have to do extra qualifications? Do they have to be a certain age before they will be considered eligible to work in an implant practice? In this article I hope to deal with these questions and also to hear from one nurse who took a rather unconventional route into Implant Nursing. My name is Mairi Flynn and I have been with Dental fx since leaving school in February 2007. I had no idea what I wanted to do and my parents were adamant that I wasn’t leaving school without having a job to go to. I typed up a CV and with the direction of my mum and dad I handed it in to various surgeries nearby. I had handed in about four or five CV’s and only had one left. My dad and I drove past Dental fx and that is where I put in my last CV…no letter box meant I had to hope for the best in pushing it under the door. It obviously got delivered in one piece as the very next day I got a phone call asking me to come in to the surgery. I also had interviews in two of the other surgeries and was offered a job in both places but Dental fx was the interview that really stuck out for me and it’s where I really wanted to work. I found questions like ‘Are you squeamish?’ and ‘Does a lot of blood bother you?’ a bit unnerving but I answered as honestly as I could, and no, a lot of blood doesn’t bother me, nor am I squeamish. Believe it or not I was in my bath the following day when Susie the Practice Manager called me to offer me the job of trainee dental nurse. I was so excited and when I told my mum and dad they were so proud of me. To be honest I was proud of myself because it was my first time of attending interviews. I was really nervous when I went into the practice on my first day. I had no idea what to expect. This was my first job full stop never mind my first dental nursing job. I was shown around the practice by the nurse Julie and she made me feel so welcome. Luckily I already had my Hep B status cleared so when Julie took me into the surgery and showed me some of the instruments I spent my first day learning the names of them. I thought this was nice and easy until she pulled out all the bur blocks and took me through the function of each bur. At the end of the day I really did think to myself ‘This is going to be easy’…….how terribly wrong I was! Until I had a better idea of what was happening in the surgery I was there to observe and I remember being impatient to hold the aspirator in my hand and be a ‘hands on dental nurse’. Julie has so much patience with me and took time showing me what to set up for each procedure and taught me how to write up very full patient notes which is so important. On the third day of work Dr Jacobs was carrying out a sinus augmentation and implant placement. I was scared as I had never seen anything like this before and I so much wanted to do well. This was where I first learned the concept of ‘clean nurse, dirty nurse’ and on this occasion I was the ‘dirty nurse’ and helped Julie when she was scrubbed up. I found the procedure fascinating and felt so lucky to be in a practice where so many interesting procedures were carried out. I had so much to learn and was enjoying the new experiences each day produced and I was introduced to a whole new vocabulary which took some time to get used to. My experiences of the dentist growing up were limited to hearing words like ‘filling’ or ‘drill’ or ‘extraction’ so I felt as if a whole new world had opened up to me. As well as having to learn all the procedures of general dentistry there was also the whole side of implant dentistry and I felt I was having to study for two jobs and not just one. I attended college on a Wednesday day release to study for my SVQ in Dental nursing. On the Wednesday evenings I would study with the girls I met at college and from listening to stories of their day to day work I really did realise that it was very unusual to go straight into an implant surgery from school. Most nurses seemed to have years of experience in general dentistry before moving into implant dentistry. But I was very confident in the training I was receiving at Dental fx from Dr Jacobs and from Julie then Louise who took over when Julie left the practice to live down in England. There is always more to learn both in general dentistry and in implant dentistry. At first I was hesitant about asking questions in case it sounded stupid but Dr Jacobs put me at my ease and said ‘There is no such thing as a stupid question’. One of the things Louise has taught me is the importance of being organized and she has lists for everything in the surgery and is the most organized person I have ever met. In the summer of 2008 I was on holiday when my exam results came through. I will never forget the phone call I got from my mum telling me my results were in and she wanted to go ahead and open them….we were both screaming down the phone when she read out that I had passed. I contacted all my friends from college and every one of us had passed. It was a real day of celebration. Passing my dental nursing exam last year was a real milestone for me but I knew I still had/have a lot to learn. I love my work at the practice and I love meeting a patient for the first time and then seeing them further on down the line when they have had their implant placed and are delighted with all that has happened for them. Sometimes they come in initially quite nervous and it is very important that we as implant nurses try to put the patient at ease as much as possible and that they feel they are comfortable with us and trust us. I have learned a lot about myself in the two and a half years I have been in dentistry and I know the importance of working together as a team and encouraging one another and supporting one another. We have regular meetings which keep everyone in the practice up to date on all that is happening and I enjoy being a part of a team and feeling involved. I would like to go on and do a dedicated qualification in Implant Nursing. After that, when I have gained more experience I would like to be involved in running an Implant Course for dental nurses. At the moment I am involved in the ‘Nurses Day’ when Dr Jacobs along with Dr Schmullion run the Scottish Dental Implant Course. My input on the day involves taking the nurses through the decontamination procedure in the LDU and how to deal with all the Dental Implant instruments. I find this very fulfilling but also daunting as I realise that all the nurses who attend this part of the course are older than me and I need to be sure that I am presenting all the correct up to date information on decontamination and infection control. It is a very good learning ground for me and I feel privileged to be able to be a part of this at such a young age. Louise who has many years experience in Implant Nursing is on hand to constantly offer advice and reassurance and I am very grateful for this input. In the role of Practice Manager there are sometimes difficult decisions to make. In hindsight I feel we made the right decision to go for ‘option 3’ back in February 2007 when we took Mairi on as a trainee dental nurse. It has been hard work on the part of all the team but rewarding to see how Mairi has progressed during her time with Dental fx. In reading Mairi’s story I hope that most of the questions at the beginning of this article will have been addressed. For those interested in a career in dental implant nursing it is definitely a possibility to start straight from school and gain steady knowledge, understanding and experience of implant procedures along with general dentistry. However, the practice taking on a trainee would need to have a dedicated mentor who is willing to spend time with the trainee and implement training structures within the practice. Even an experienced nurse coming to an implant practice should have a training structure in place so that adequate time is given for the nurse to understand new procedures before assuming a level of responsibility. Working towards a dedicated qualification in Implant Nursing should always to be encouraged as should the commitment to lifelong learning.